You want to invest in your employees. Let us help you. Successful professionals must learn new skills and concepts throughout their careers. Whether you send your employees to one of Purdue's two distinct 19-month-long EMBA programs -- during which they continue working and can apply ideas immediately -- or to a four-day professional development program, you are investing in the continued success of your organization. Krannert's Executive Education staff can also partner with you to design a program tailored to your unique challenges. Reach Krannert Executive Education Programs' Executive Director Aldas Kriauciunas at 765-496-1860 or akriauci@purdue.edu to learn more. We look forward to working with you! 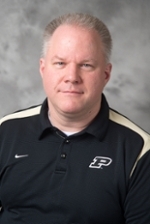 Reach Krannert Executive Education Programs' Executive Director Aldas Kriauciunas at 765-496-1860 or akriauci@purdue.edu to learn more about our Corporate Engagement Package.